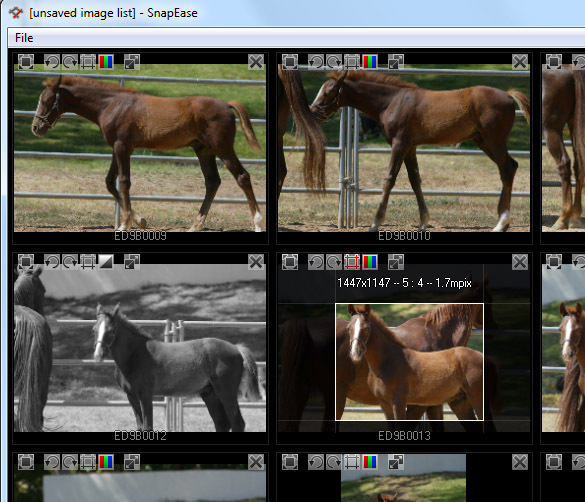 SnapEase lets you import your photos (or folders), then nondestructively (and very quickly) crop, rotate, desaturate, rename, and/or remove the images from the list. Once you have your list the way you like it, you can have it automatically resize and save the images to disk or upload to the web. Discuss SnapEase in the Cockos Forums.